Implementing a data archiving strategy is a critical part of any organization’s healthcare cybersecurity solution. Because data does not necessarily lose its value as it ages, protecting legacy data is just as important as newly acquired data. This post is a preview of a whitepaper that focuses on why archiving is a vital part of your healthcare cybersecurity strategy. Click here to skip directly to the full whitepaper download page. A stolen electronic health record (EHR) cost the average business $355 in 2016. The process of data archiving involves identifying and transporting dormant data from primary applications into a secure secondary archiving system. The main benefit of moving the dormant data from the primary application storage to an archive storage system is that doing so will reduce the exposure of the data, which in turn will help in reducing the direct costs associated with running the relatively more expensive primary application systems. Data archiving also helps improve patient care by providing easy access to clinically relevant information. This whitepaper examines the benefits of consolidating to an enterprise archive solution. With health data breaches rising and the ability to leverage patient records to improve care increasing, data archiving is becoming more important for data management and protection. Healthcare organizations can simultaneously improve cyber security and patient care by consolidating data with an enterprise archive solution. reduce your cyber security threat and costs because legacy data is no longer accessible through multiple live systems and can be protected through a single, secure platform. Rather than viewing legacy data migration as a challenge when implementing a new EHR, consider the opportunity an enterprise archive solution offers. An effective archiving strategy can produce the following benefits as you migrate data from your legacy systems. 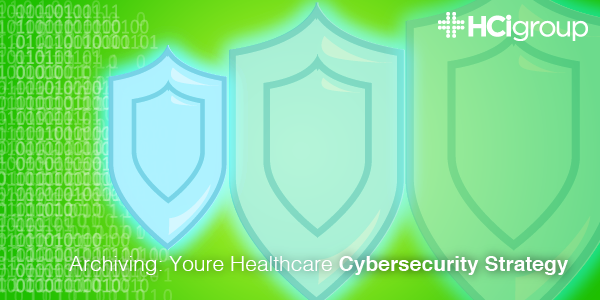 To learn more about HCI's Healthcare Cybersecurity services contact us today!